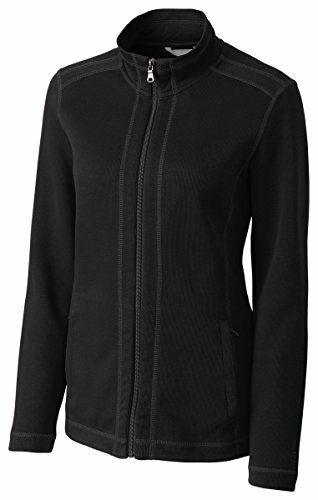 Our ladies' Bayview Full-Zip is a nod to classic sensibilities while keeping modern comfort and performance in mind. You'll stay warm and protected with the stand collar, flatback rib 100% cotton, and exposed coil zipper. The single welt front pockets, contrast cover stitched seams, locker loop, self-fabric sleeve cuff and hem , and smart embroidered C&B pennant above the left cuff completes the look.